Revcontent continue to push the boundaries of native advertising tech. 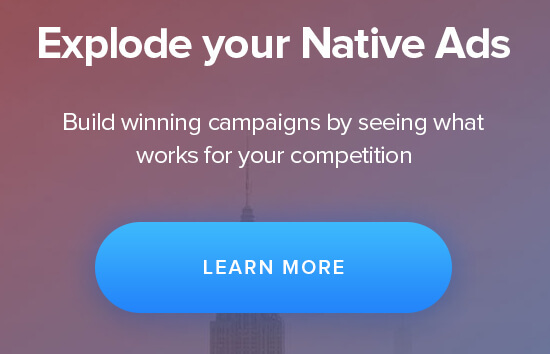 And because they love NativeAdBuzz they came to us personally. And this time it is bigger! ….plus they also have a nice new shiny office in the Valley to boot. Ok well not quite, but their most recent acquisition Rover, does specialise in deep user personalisation through machine learning with the explicit purpose of connecting people with content that interests…..
hmmmmm just let that sink in for a minute. Rovers technology specialises in deep user personalisation through machine learning, to connect people with content that interests! …and they have just been bought out by native ad giant RevContent!!! Click whirrr…..I can see the possibilities taking shape in your mind, here at NativeAdBuzz we are literally buzzing to test it out. Imagine being able to precisely target your audience on native advertising with a granulation 3 X that of Facebook! This could be the advertising disruption of the decade! Facebook has about 800 interest categories to offer, but John informed me RevContent will now have over 3000! Think super niche! That’s not just what toilet paper you buy, but also the ply, fragrance and specific quilted pattern! From offline tests RevContent believes they can manage a 90-100% lift in eCPMs for publishers from showing more targeted ads, whilst advertisers will be able to identify and precisely target audiences they didn’t even realise they had traction with, whilst also reducing their CPC. How will RevContent and Rover come together? What will it look like? JL: Rover’s technology is a bet on machine learning and deep user personalization as the future of discovery. Rover’s technology is expected to increase recommendation engine performance substantially, resulting in increased revenue opportunities for publishers by delivering higher eCPMs and greater performance for advertisers, while helping users discover great content. Higher publisher payouts align with RevContent’s mission of helping support quality journalism, free speech, independent thought and the spread of big ideas, all of which are crucial for democracy as a whole. Rover will operate as a subsidiary ofRevContent, and our new Silicon Valley headquarters, spearheading our advanced machine learning initiatives. The entire Rover team will be joining RevContent, and we’re incredibly excited to have them all on board. 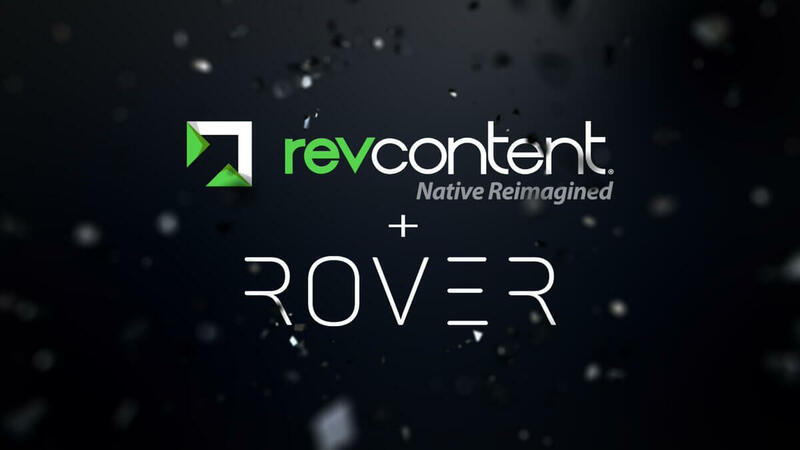 RevContent will continue to support Rover’s apps, which tailors a news feed for users based on their interests. What will be the most obvious benefits? How will this improve the ad experience for users? JL: With publishers’ ability to learn more about the tastes and preferences of their users, users will be delivered content that is more relevant to their individual interests than ever before. The combination of Rover and RevContent will create a more personalized web, which will allow users to discover content that they love. On offline tests of Rover’s recommendation engine, we measured a 90-100% eCPM lift for publishers. By offering more relevant content, publishers like Forbes, Reuters, & The Atlantic are going to see increased revenue, more time on site, and more engagement in general. How will this improve results for advertisers? JL: Simply, advertisers have a better ability to connect with their most valuable customers and customers they didn’t even know existed. As an example, Let’s take a user who is interested in Artificial Intelligence which is a subcategory of Computer Science which is a subcategory of Science. Rover’s click data suggests that while targeting, going from broad interests like “Science” to a more specific interest like “Artificial Intelligence” could result in a 3X bump in CTR. This means the more fine grained the interest segmentation and targeting, the greater the performance for brands. Is it a scalable solution for advertisers? JL: Absolutely, the ultimate goal is scalability for brands. Like in our answer above, when brands can tap into users they never even knew existed, more opportunities arise. Advertisers have an opportunity to reach a massive audience on premium sites and an audience that is currently receptive to discovering new information. What is the best way for an advertiser to take advantage of this union, what type of content or structure will work best? JL: Editorial content is always a strong performer in our network. Also, engaging content that is built with a target audience in mind. The best way to take advantage is just get started and test it out for yourself! Will there be big changes to RevContent’s existing UI? How will the new targeting functionality compare with the offering of other large Native Networks such as outbrain and Taboola? JL: It’s going to be 3X more personal and granular than competitors. The personalization technology is so in-depth that it is really going to hone in on a user’s true self aka it’s not just looking at what you’ve clicked on facebook or what you’ve liked on facebook. The technology learns on a deeper level. We work with one of the largest food brands as a great example – during testing on our platform, they discovered that not only was their target audience obviously interested in Food and Home Cooking but a large majority was also interested in Aquatics and Marine Life. They uncovered that new interest group and were able to reach valuable customers they never even knew existed. Taking on FB and google? Wow! How will this compare with the super granularity of FB targeting? In what ways will it be more effective? JL: With RevContent’s personalization engine combined with Rover’s machine learning technology, our technology will be 3X more granular than Facebook and other competitors. Facebook offers about 800 interests for targeting, and we are offering more than 3,000 and constantly adding new interests. This will allow brands to connect with users with even more precision, and distribute content that is more relevant than ever. How long will we have to wait to see it in production? JL: Some of the pieces are already live or rolling out like Interest Targeting and Internal discovery for Publishers. The bigger recommendation technology pieces will be rolling out over the next few months. How long has this deal been in the making? Who approached who? When testing out their technology, we discovered that the performance lift was much more significant than what either company had expected and we decided to make this move together. We also discovered that we had similar visions and mindsets as a company. Rover built their brand on a love of curiosity and discovery, which nicely aligned with our mission to empower brands to thrive. What made Rover stand out as special? JL: It is important for us to work with partners that share the same values as RevContent. Rover shares the same vision as RevContent- a vision of a more personalized web, and a web that helps users discover content that is more relevant to them than ever. The Rover team is incredibly brilliant and built Rover on a love of discovery and curiosity – something we also love at RevContent. The leadership and the innovation was clearly there, and the founders of RevContent and Rover both believe that content recommendation is not just a way to generate traffic and revenue, but key to building a realistic business model for online journalism. John have you thought for a while this was the direction RevContent should move in or was it a sudden eureka moment when the opportunity arose or perhaps something entirely different? John what do you see for the future of Native Advertising now? JL: It’s exciting for us to see the continued growth in native advertising. In the more long term future, eventually native will be all around us, and the Internet will not be contained to a web. I see a world where the web and the real world become one and that world will be driven by intelligence. The future of native advertising will lead to a more intelligent world around us, a world where this intelligence can lead to a future and deeper intelligence in robotics, a deeper intelligence in all systems and to make those systems open, so no one can slow down the power of the people and the ability for the future of media to build relationships with people wherever they are. John where does RevContent go from here? Jonathan: Will you be staying on to work closely with the project? Do you see your role evolving? JL: Jonathan is coming on as the SVP of Technology and Vijay krishnan will be the SVP of Data Science at RevContent. JS: “Absolutely. I am staying on as is the rest of the team. Rover’s mission has always been personalized discovery and this is a continuation of that mission. My role, will be largely the same except that we know have an opportunity to take Rover’s product and recommendation technology to a much more massive audience and make an even greater difference. There are also several advanced machine learning initiatives in the works that will translate into helping users discover great content, helping brands get discovered by their ideal customers and helping publishers discover a sustainable source of revenue and traffic. Much like how Facebook’s social graph connects people to their friends, our interest graph connects people to the topics they care about and that deep user understanding, let’s us personalize every page on the web for them. Rover is an innovative product using machine learning to connect people through content and people with content. How do you feel about rising concerns regarding echo chambers created by fb and google algorithms. Is this something that affects Rover? How is it different? JS: This is a great question and something I think about a lot. I think the problem of echo chambers create by facebook and google algorithms, trapping people in a “filter bubble” is a huge problem. It’s a problem for democracy, building communities, helping people grow intellectually and for helping ideas spread more freely. The trouble with social networks in general is that the “personalization filter” is the social graph. The social graph is pretty static. People make friends in high school, college, work etc. and that set of social connections changes very slowly. This also has the other regionalization biases like geography, socio-economic similarities etc. What this means is that the kind of information a person discovers from what their friends share seldom changes in a big way. For example, for me here in silicon valley, I only see pro-liberal content in all my social channels. I see a very biased, unrealistic view of America and don’t have an opportunity to discover content from a different perspective. With Rover/RevContent, “the personalization filter” is the interest graph. The beautiful thing about the interest graph is its fluidity. It grows and changes with you, as you grow as an individual. You are not locked into a bubble that’s rigidly defined by where you live and who your friends are. The interests and worldview that I had while in high school or college are very different from the interests I have today. I am constantly growing and evolving my world view and my interest graph keeps up in real-time. My interest graph is defined by what I like to consume, not what my friends what to share. It will show me content on controversial topics relating to religion, political issues or guilt pleasures that I might not feel comfortable sharing or reading with my friends watching. Our algorithms constantly balance exploration (showing you new stuff to widen your horizon) with personalization (showing you stuff based on what you like). This personalized discovery thesis is exactly what is driving the success of other machine learning based recommendation engines like Amazon (shopping), Pandora (music), Netflix (movies) etc. We are bringing this to content discovery. Rover previously raised money from AdTech founder Steven Oskoui and now Rover has been acquired by one of the largest native ad networks. Were you surprised to be acquired by an adtech company or was it always part of the masterplan? Once we spoke with John and met Chris Maynard, Richard Marques and other leaders from his team, it became instantly clear that this was the industry where Rover’s recommendation engine had an opportunity to add the most value. It was obvious once you saw it. In this industry Rover is a painkiller for all it’s customers that includes users, publishers and brands. I think this entire industry with Taboola, Outbrain and RevContent is crucially valuable for keeping the web healthy and ensuring free speech and independent thought flourishes. We are excited to be a part of the personalized content discovery industry and want to help move the industry forward. I think we have an opportunity to create the kind of value that Google, Facebook etc. have created for the world.